It is not easy to measure the contributions of innovation platforms (IPs) research and development outcomes. Some of the reasons have been documented in relations to FARA’s sub‐Saharan Africa challenge program. 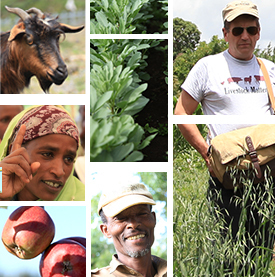 From International Livestock Research Institute’s (ILRI) experience, the complex nature of issues and problems that IPs try to address and the emphasis given to the effective integration of IPs into the research process – rather than evaluating IPs contribution to intervention outcomes – have contributed to this information gap. 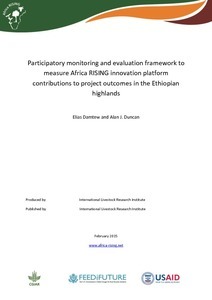 The Africa RISING project in Ethiopia is trying to fill this gap by developing a simple and systematic IP monitoring and evaluation framework. It tries to monitor and evaluate IPs at three performance levels: at establishment, by function, and at outcome levels. Some indicators are identified to assess changes within these performance levels. We hope this process sheds more light on the information gaps we encountered and, most importantly, helps to foster joint learning among the different international and local partners working with Africa RISING. Tags: evaluation, innovation platforms, monitoring. Bookmark the permalink.